It is the new big thing, and it has taken the world by storm. 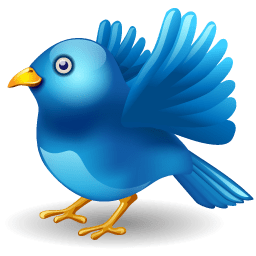 Twitter in its modus the operand has the world open to a new way of communication so convenient that now it has become a part of the system and people’s lives. A relatively new concept on the social networking front, Twitter has become a common man’s addiction with people ‘tweeting’ all over the internet. The new format has only further managed to hook people into the concept, showing and proving it to the world again that innovation is the key to success. Having more than ten million users worldwide, Twitter has become the most preferred social networking site over the past few months. The success of the application lies in the heightened ease of usability of the format. In an age where blogging is hugely popular having just 140 characters to speak your mind might have seemed a risky proposition for the makers. But the success of the application proved that online denizens are always open to new and improved ways of communicating. The tweet-mania caught on like wildfire, and now people across the whole world from all walks of life are on Twitter. Twitter’s popularity could also attributed to high-celebrity usage. Prominent people around the world have taken to tweeting as it helps them reach across to the masses and also be interactive with their client base. The format of Twitter is such that it is interactive yet at the same time, there is no room for spam. Such a “reach-out” idea can be effectively used to promote your business. Irrespective of the product or service you might be promoting, effective use of social media like Twitter, as a marketing medium can generate high returns on investments and all of that within a short span of time. All the major brands and names in the world have a strong web presence and having a web presence is not just about blogging. Any company that aims to reach the maximum number of people should follow what is in vogue as masses catch up with trends quite closely and it is this mass usage that makes it a trend. So, what next open the page, create an account, and start tweeting about your business is not what that is going to help.If you plan to use Twitter as a genuine marketing tool, it is strongly advised to hire the services of a Twitter consultant. The number of users of Twitter or for that matter any social networking site is in millions. How do you hope to create an impact from acting within those numbers? A good and experienced consultant can help you in this aspect. Using social networking sites as marketing or publicity tools can be tricky. The reach of these sites is vast and incomparable but then so is the competition. Since signing up on the social networking sites is mostly free of charge, some people join the bandwagon to exploit this free service to the fullest. It is the smart thing to do. However, making yourself visible and heard from within these millions of users is up to the user. Business profiles on twitter use experts and consultants to make their profiles unique and their content engaging and attractive. You should bear in mind that there are no do’s and don’ts when it comes to social media. Twitter very budding media and people are still figuring out what works and what doesn’t. Having a unique and fresh approach to it is very important to strike a chord with the target audience. Innovation along with experience in the media and related fields can give you the right approach. Since interaction is high on social media and the end-customer is in direct contact, a business outfit should be even more careful and unique in their approach. Losing a customer once would mean losing forever. This concept doesn’t work both ways. Once you have a user hooked, you need to keep working towards keeping them hooked. Users of social networking sites have the option to add or remove profiles depending on their likes and dislikes. It is a continuous and on-going work on behalf of the businesses to keep the user engaged and interested in their company and its products and services, through the fresh approach and vibrant content, consistently. It is with relevant research done by and having a professional advice, is always helpful to maximise your chances and minimise your strike-outs.